What Kind Of Supernatural Being Is Mary Poppins? Yes, Mary Poppins is real! In fact, she’s a self-created human ascended Goddess originating from a Parallel Universe somewhat similar to ours during the Victorian Era. She has visited several other Universes including our own. One of Mary’s trips here inspired P.L. Travers to write her series of Mary Poppins Books that eventually spawned the famous 1964 Disney movie by the same name. We also have the future release of Mary Poppins Returns in Christmas 2018. Miss Poppins certainly displays characteristics of a Goddess in the stories presented to us. The power of flight, the ability to speak with animals, weather control, teleportation, and a plethora of various psychokinetic powers along with the awesome ability to create fantasy bubble Universes. Goddesses are also known for being vain, and Mary referred to herself as “practically perfect in every way” while continually gazing at her beauty in the mirror. She was kind and nurturing to children while stern when needed. Mary was beloved by a variety of good supernatural beings while feared by the forces of darkness. Miss Poppins was also called “The Great Exception” not only due to her unique ascension to Earthly Godhood, similar to Celtic, Greek or Roman Gods, but also due to her superiority above almost all beings she’s encountered. Mary is considered nearly invincible in paranormal circles across many parallel realities. This is especially due to the fact that she taps into the raw powers of her higher dimensional human souls on various planes of parallel realities we could never hope to comprehend! There is also her original roots of witchcraft that aided her rise to Godhood. In addition, an important component of her paranormal powerbase happens to be her impeccable purity. Despite her love for children, she chose the life of a pure virgin over motherhood. It’s not fully understood how this pertains to her power but somehow it takes the place of mass worship that most Goddesses require in order to wield maximum power. Evidence indicates that losing her innocence within a sensual act could possibly lead to her undoing in some way. Even any feelings of sexuality act as Kryptonite upon her! Certainly, her exquisite beauty has attracted men to her. Men she must spurn in order to remain a glorious Goddess! As a person not known by the masses to be a Goddess, or even being real, she doesn’t receive a great deal of worship. However, she deeply discourages those who have bowed before her in awe. Even though Mary does enjoy gazing upon her enchanted image in mirrors she doesn’t have a gargantuan ego. Although, an ego may show when dealing with forces of darkness who deem themselves superior to her. She also has scolded two cults that tried to form in her name. Mary instead directed them to form charities and work to help impoverished children. Her aforementioned love of children compels her to seek out jobs as a nanny, school teacher, or some other role working with kids. 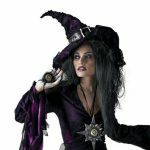 Often she looks to aid dysfunctional families who need a bit of magic injected into their monotonous lives. Mary has been known to spark the embers of enchanted emotion within emotionally detached families. She also aids those in danger from supernatural forces of a nefarious nature. No titan of terror is too titanic for her to take on! 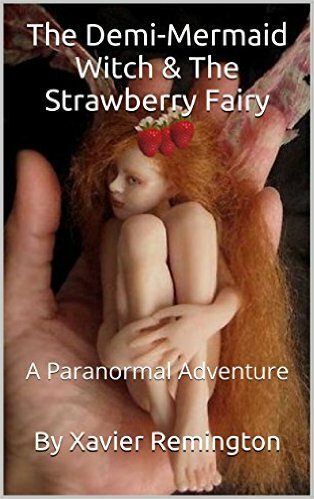 Rumors have even swirled about the paranormal community of a run in with the Devil himself! He’s never spoken of the incident but it is believed he was deeply embarrassed! When you get on the wrong side of Mary you would not want to meet her in a dark alley! Needless to say, her charming demeanor can turn downright mean rather rapidly! Although it hurts her to resort to such disciplinary measures. Mary Poppins Returns will hit theaters on December 19, 2018! This entry was posted in Goddesses, Motion Pictures and tagged Disney, Mary Poppins by Xavier Remington. Bookmark the permalink.